Ocado is an online supermarket operating in the UK. 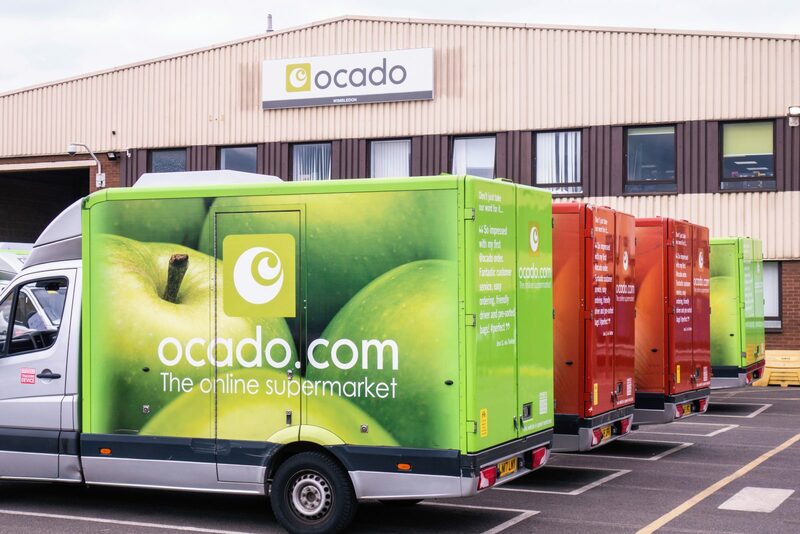 There are no physical Ocado stores, so it only offers home delivery from its warehouses. The online store sells a range of products, including own-brand, name-brand, and groceries from Waitrose. There is a minimum spend of £40 to place an order for home delivery. The delivery cost depends on the day and time slot, varying from £2.99 to £6.99 on average. However, regular Ocado shoppers might invest in a Smart Pass. This membership entitles customers to free deliveries for specific slots, depending on their subscription type. Anytime Smart Passes cost up to £109.99 for a year, while the Midweek pass is up to £59.99 a year. Whether you have a Smart Pass or not, this guide tells you what you should do if your Ocado delivery is late. When you place your order on the Ocado website, you will select a time slot for your delivery to arrive. If there are any problems with the scheduled delivery, Ocado should notify you. This could be through the app, by e-mail, or by text or phone call, depending on your contact settings. However, if you do not receive any form of communication from Ocado and the delivery doesn’t show up within the time slot, you should contact them. Allow 10-15 minutes after the end of the time slot for the delivery van to show up. If they still aren’t there, call Ocado on 0843 208 2354. When you call the customer services team, they will ask for your e-mail address and postcode. This way they can find your Ocado account and look at your scheduled deliveries. They are available to help from 5.30am to midnight every day of the week. You might also want to provide the specific order number that you’re calling about so they can help you faster. They can tell you where your order is and when you can expect it to arrive now. If it is too late or at an inconvenient time, you might have to rearrange the delivery for the best available slot the next day instead. You should complain about further problems which occur as a result of late delivery. By failing to provide the goods as promised in the delivery slot you paid for, Ocado is breaching its contract with you. Maybe you needed the fresh food in time to prepare for a dinner party. Perhaps you won’t be at home the next day and therefore won’t be able to accept redelivery. Or if you do rearrange the delivery, you might have to take time off work or reschedule a different appointment. If your order doesn’t turn up and you have to go to a shop to buy replacement goods, complain about this. Even if the delivery only arrives 10 minutes late, complain about inconvenience if this negatively impacts you. If you paid for the individual delivery, at the very least Ocado will refund the delivery charge. For those who pay for a Smart Pass, they might get a partial refund. However, it is more likely that Ocado customer services will offer a gift voucher in apology. The voucher can then go towards the payment for your next shop. The amount will depend on the length of the delay, and the level of inconvenience caused. Other customers who complained about Ocado late deliveries reported receiving vouchers for £15 or £25. Request this compensation if you think that your late delivery experience entitles you to it. Ocado will not compensate you if they are delivering late due to circumstances which are outside their control. This includes road accidents, traffic, power cuts, fires, floods and other adverse weather. When you log into your Ocado account on the website, you can view your order details. If you are able to make any amendments to your order, you can do it there. It will also show you when to expect the delivery, which should be during the time slot you chose and booked. You should check your account, your e-mail account, and your phone for any messages from Ocado. If they notified you in advance of delays, you will not have as much grounds for a complaint. However, if your delivery is definitely late with no reason or warning given, then you can contact Ocado about this online. Send an e-mail with your order details to ocado@ocado.com. It could take longer to get a reply. If you have already tried contacting Ocado in other ways and they aren’t responding as they should, take your cause to social media. The customer services teams typically reply to messages on Facebook and Twitter within an hour. When you share your experience in a public post, they are more likely to respond quickly and take action to help in case other customers see your complaint. Sharing your problem with Ocado delivery may also result in customers with similar experiences providing advice. If your post gets attention from other Ocado shoppers, the company is likely to offer a voucher as a gesture of goodwill. Keep pursuing the issue if you are not satisfied with this solution.